Proudly wear the official Delta Sigma Theta Centennial ring, designed to honor the transformative and courageous legacy of our sorority. 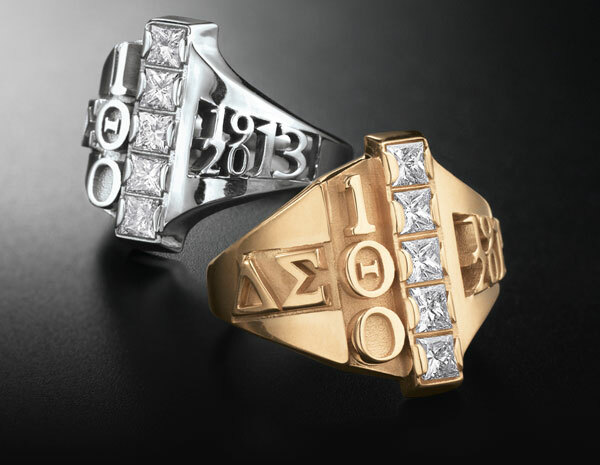 Our Greek symbols, beautifully interwoven with the numerals for 100 on one side of the Centennial ring, signify our sorority’s lasting heritage and bright future. On the opposite side of the ring, this iconic blending of numbers unites our sisterhood's founding year with the year we celebrate our Centennial. A row of princess-cut stones beautifully honor the alignment of Delta Sigma Theta's founding members at Howard University in 1913. Each stone represents 20 years of rich Delta Sigma Theta history. 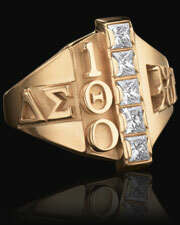 Honor is not rare in our sorority, but the honor of having a personally numbered ring is. 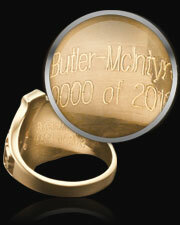 The first 2013 rings purchased will be limited edition, carrying an individual ring number inside. 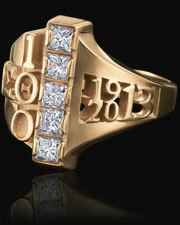 Your limited edition ring and ring number will be uniquely exclusive to you, marking your participation in this important time in our sorority's history. Place your order early for the best chance at receiving a historic, individually-numbered version of the official Delta Sigma Theta Centennial ring for yourself or for future generations of your family to experience. Questions? Call 1-800-854-7464 or visit our FAQs. Orders subject to verification.